Participants are REQUIRED to attend the PRE-CLIMB. * Deadline of Payment: Down payment of P2,000 upon registration. Full payment 15 days before the trip. * Full payment must be settled within the agreed timeframe. Should you need extension, please coordinate with Travel Factor. * The payments made to us are only refundable if we cancel due to weather issues or fortuitous events. I higly recommend this trip guys! 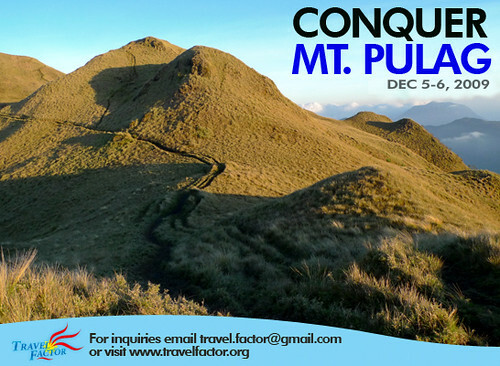 kakaibang experience ang Pulag.. if you're interested or you have some questions, just let me know.